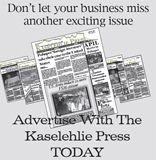 The online version of the Kaselehlie Press has been on the net now for 10 years with about 4,000 active users worldwide with 10,000 page views every month. 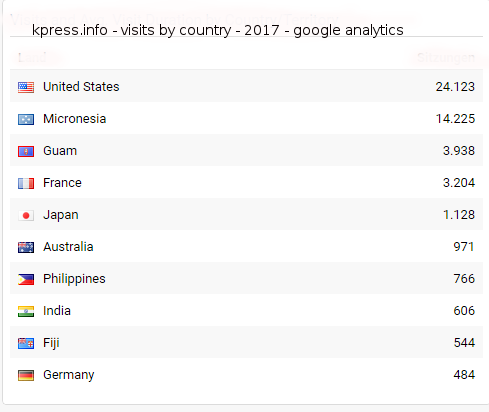 The kpress.info website is one of the very few news websites that are free of ads offering all articles at full lenght without having to register. It's a non-profit project in support of the people of the FSM in general and Bill Jaynes, the paper's honourable editor, in particular. Wishing all our online readers A New Year Filled With New Hope, New Joy And New Beginnings. 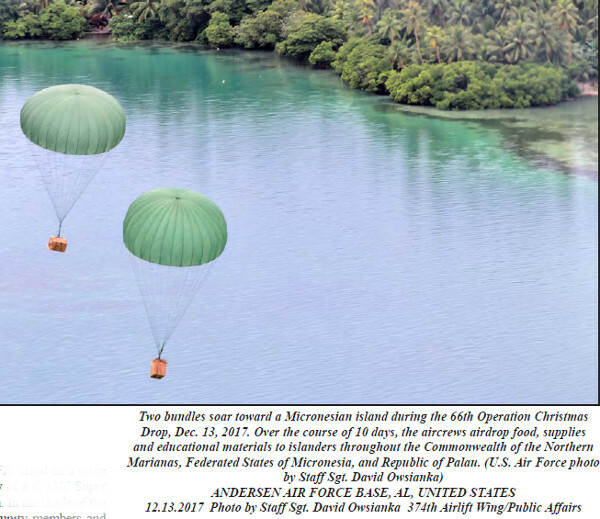 ANDERSEN AIR FORCE BASE, Guam -- Operation Christmas Drop 2017 officially took off with the ceremonial “push” of the first pallet at Andersen Air Force Base (AFB) Guam Dec. 11. Operation Christmas Drop is the longest ongoing U.S. Department of Defense operation and humanitarian airlift in the world. It began in December 1952, when a WB-50 Superfortress aircrew flying a mission over the Pacific spotted islanders from Kapingamarangi waving at them. As a sign of goodwill, the crew gathered what they could, bundled the items, attached a parachute and dropped the package to the people below. Distinguished visitors at the push ceremony included U.S. Air Force Expeditionary Center Commander Maj. General Christopher Bence; Joint Region Marianas Commander and U.S. Defense Representative to the Commonwealth of the Northern Marianas, the Federated States of Micronesia and the Republic of Palau Rear Adm. Shoshana Chatfield; Joint Base Pearl Harbor-Hickam, 515th Air Mobility Operations Wing Commander Col. Scott Zippwald; Yokota Air Base, 374th Airlift Wing Vice Commander Col. Sergio Vega; and U.S. Embassy in the Federated States of Micronesia Deputy Chief of Mission Joanne Cummings. Col. Scott Hurrelbrink, 36th Wing vice commander, Andersen AFB, stood on a stage built on a trailer that fed humanitarian airlift boxes into the belly of a C-130J Super Hercules, which will have its inaugural flight during the operation. In the shade of the hangar, Hurrelbrink addressed a crowd filled with island community members and military partners and shared the importance of the humanitarian event and training opportunity. Over the decades, the operation evolved into a multi-national airlift training exercise. This year service members from Andersen AFB, Joint Base Pearl Harbor-Hickam, Hawaii and Yokota Air Base, Japan, partnered with the Japan Air Self-Defense Force (JASDF) and the Royal Australian Air Force (RAAF) to execute low-cost, low-altitude training air drops. The 2017 Christmas Drop Committee, a non-profit organization, raised more than 53,000 dollars and received in excess of 20,000 dollars in donated supplies such as tools, fishing equipment, educational materials and toys, among much more. This year, island neighbors located in remote areas in the Commonwealth of the Northern Mariana Islands, the Federated States of Micronesia, and the Republic of Palau will receive the packages. C-130 air crews from the JASDF, the RAAF, and the U.S. Air Force 374th Airlift Wing’s 36th Airlift Squadron from Yokota, Japan will fly a combined 22 sorties, dropping 120 boxes, weighing 65,000 pounds. The Navy and Coast Guard will also assist in deliveries. Throughout the year, the committee worked with the local community including the University of Guam, local and national media, the Mayors Council of Guam and other Guam government entities to raise the funds and collect the crucial supplies. I am a former patient who had my right eye operated by Dr. Gallen. After some hours passed, my sight was restored perfectly. Truly it was the outcome of a successful job that can only be appraised and deemed according to the proficiency and competency of the individual performing and finishing the task. I only wish to convey the fortunate opportunity of the people of Pohnpei and our Pohnpei State Department of Health Services to have a true Ophthalmologist serving within our reach. I can recall several years back, our health services often employed foreigners to do the same work, sometimes with unnecessary consequences and damages. Today, I am among the many witnesses on this (Pei Sarawi) island to receive the talents of the gifted hands of Dr. Gallen. May the next generation produce at least one more set of competent hands, God bless your good hands for the people of Pohnpei! Editors note: I also benefitted from the skills of Dr. Gallen and a surgeon from the Moran Eye Clinic who removed a cataract from my right eye and changed my life again. I too am extremely grateful for the talents of this kind and skilled man. I write as a concerned citizen to the People of Pohnpei, the Environmental Protection Agency, the Conservationist NGOs and the Pohnpei leadership in which the good people of Pohnpei have entrusted to manage and protect present and future interests of the island within the three developing sectors Agriculture, Fisheries and Tourism. 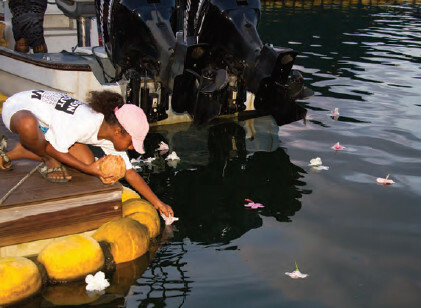 Everyone who was born and still living right after both the US Navy and DOI administrations of our island would simply notice the dramatic changes not only to our modernization standards, but evidently more ongoing alarming impact to our marine environment. The modernization of Pohnpei has a tremendous touch on our social development as well as actual meeting demands of needed/required island growth. Long story short, under the name of progress and development, we are still witnessing the fast rising effects of enhanced transformation and more marine environmental oversight impacts which are still considered overlooked or less responsive. I believe we have arrived at the point of serious contemplation and to move beyond such stage and begin addressing near future answers. In light of our close connections and encounters with the land and sea we grew up living, consuming and respecting what God has provided naturally. Consequently, in the name of current progress development, we now face unwanted environmental and ecological impacts that may take thousands of years to heal. Traveling abroad, I witnessed a very modernized and developed island nation which is still self-sustainable under most of her land/ sea/tourism economy resources, and as a matter of factm that island does not rely mostly on imports. The country managed her own building construction codes and related development policies or law. It is mandatory there that no building is constructed taller than the tallest tree on the island. Now, perhaps it is time we must put in some serious thoughts. Please notice that as construction of many types of our infrastructure moves forward, it is manifestly clear that we will not only deplete or offset nature of our valuable concerned resources, but may directly produce a gloomy impact to the normal ecological system of our island. Here we are also looking at sea creatures (both big, small and microscopic) and, moreover the present effects under diverting the steady natural currents which will be for sure affected the land and reef thought erosion and remigration of ocean creatures, also considering the contributing impact of climate changes in the pacific. I am a frequent visitor of the reefs and believe me it is not a good sight. Nonetheless, my observation is genuine and I don’t need to interview the mentioned parties. The sea is beautiful with clear waters, yet I have a frightful notion that the site may not be long for the next generation of Pohnpeians to cherish. I still believe there is a way to look into more effective alternatives to continue progress under less or no damaging impact to our reefs. Spanish Wall, Pohnpei, FSM-The International Organization for Migration (IOM)—Micronesia and partners hosted the Second Annual Human Rights and Migration Festival on 9 December at the Spanish Wall. The Festival was the culminating event of the 16 Days of Activism Against Gender-based Violence in Pohnpei. The FSM Government, Pohnpei State Government, College of Micronesia (COM)-FSM, Pacific Community (SPC), Australian Embassy, US Embassy, and IOM partnered together to bring the community an array of events during the 16 Days centered around the theme “Youth Building Peace: Activism for Human Rights.” The culminating event of the 16 Days was the Human Rights and Migration Festival. IOM, COM-FSM, Australian Embassy, and Pohnpei State Social Affairs had interactive booths for children. Human rights and migration related children’s games—from twister, to a geography bee, to creative plays and a living flower chain—helped recognize both Human Rights Day (10 December) and Migrants Day (18 December) in the most creative and easily understood ways for kids, and the Pohnpei Disabled Women and Senior Citizens Groups displayed local handicrafts at the Social Affairs booth. Students from many of the local high schools and COM participated in the Festival. Students from COM-FSM sang human rights related songs during the first hour of the event. The COM-FSM Teacher’s Corps created an original play for children that told a beautiful human rights story, and students from the COM-FSM Center for Student Life volunteered throughout the event. Madolenihmw High School students Trudy Orlando, Membereen Orlando, Ande Jr Orlando, A.M. Eliou and Jeff-Ike Eliou performed their domestic violence skit and original song “Break the cycle of domestic violence”, which won the Australian Embassy-hosted 16 Days of Activism High School Skit Contest in Pohnpei this past November. Twelve students from Our Lady of Mercy Catholic High School entered poetry for the IOM-hosted Poetry Slam and performed live on stage during the event. Eliza Woolcock, Chargé d'Affaires for the Australian Embassy, Kenson Santos, Music Specialist for Youth-4- Change, and Nathan Glancy, Chief of Party for IOM held the incredibly tough job of judging the live poetry slam. All 12 performances were moving, and the scores were incredibly close. Shania Helgenberger Dadius and Rianna Richard won the slam and received prized that included gift certificates to Ace Office Supply, noise canceling headphones, dictionaries, and other writing items from IOM, journals and other writing and snacking goodies from Ace Office Supply, phone credit from FSMTC, and many other great items from Pohnpei Public Health and Public Auditor’s Offices. IOM-Micronesia partnered up with the Pohnpei State Government and COM-FSM to hold a 16 Days of Activism Youth Video Contest in the FSM. The Video Contest was open to all COM and high school students in Chuuk, Kosrae, Pohnpei, and Yap from September to November 2017, and all videos were required to be original content and videography created by the contestants. Videos needed to fit into either a narrative or documentary category and the video topic had to relate to this year’s over all theme for the 16 Days of Activism in the FSM, "Youth Building Peace: Activism for Human Rights" and answer the question “How do you create peace in your community through activism?” The judging panel included Denise Oen, Director of the Institute of Student Learning and Excellence in Teaching at COM-FSM, Patrick Blank from Micronesian Productions, and Kester James, Acting Chief for Pohnpei Social Affairs. The winning videos were announced and aired for the first time at the Festival. First prize for the narrative category went to COM-FSM students Kenneth, Percy, Ray, Natasha and Sady for their piece on human trafficking. It tells a fictional story of a college student who is trafficked into prostitution and later commits suicide. After the story, the filmmakers discuss how human trafficking is a violation to our human rights. First prize in the documentary category went to COM-FSM Media and Arts Club students Shallea Yoriko Nanpei, Cyrena Panuelo, Caroline Apaisam, Richynne Gallen, and Shelton "Jun" Neth for their piece called #FSMFACED. This piece tells the story of what four college students are faced with to create peace in their community through their four unique points of view—"Love and Company," "Success in School," "Climate Change" and "Peace and Unity." Second prize in the documentary category went to Our Lady of Mercy Catholic High School freshman students Jade Togonon, Leila Lane, Julia Borda, Yrra Penascoza, and Jazzy Hairens. Their video answers three challenging questions from the points of view of teachers and students at their school: "What can you say about domestic violence?," "Do you think the cause of suicide is because of the restriction of human rights?" and "Is it okay to disrespect someone because of his/her race?" Video contest prizes included certificates for professional assistance to finalize and disseminate the first place films from Micronesian Productions, Sharper Image Action Cameras and water proof bags from IOM, $25 gift certificates from Ace Office supply, $50 of phone credit and a brand new phone from FSMTC, a brand new tablet from the COM-FSM Bookstore, and many other great items from Pohnpei Public Health and Public Auditor’s Offices, Ace Office Supply, and IOM. Thanks to donations from Palm Terrace and the US Embassy, Festival goers were able to enjoy grilled food and cold drinks during all of the festival’s activities. The Festival ended with a screening of “Years of Living Dangerously: The Uprooted,” as part of the Annual IOM Global Migration Film Festival. The Global Migration Film Festival was launched by IOM last year, and it features new films that capture the promise and challenges of migration for those who leave their homes in search of a better life and the unique contributions migrants make to their new communities. IOM’s first global festival in 2016 took place in 89 countries. 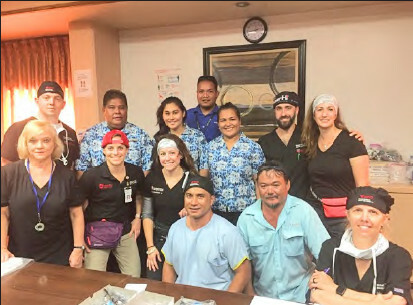 Nearly 10,000 people attended 220 screenings, including here in Pohnpei. This year’s feature film showcased migration and climate change through real life stories of the challenges that many are facing. “Years of Living Dangerously” asks the questions: What does the future look like under climate change? 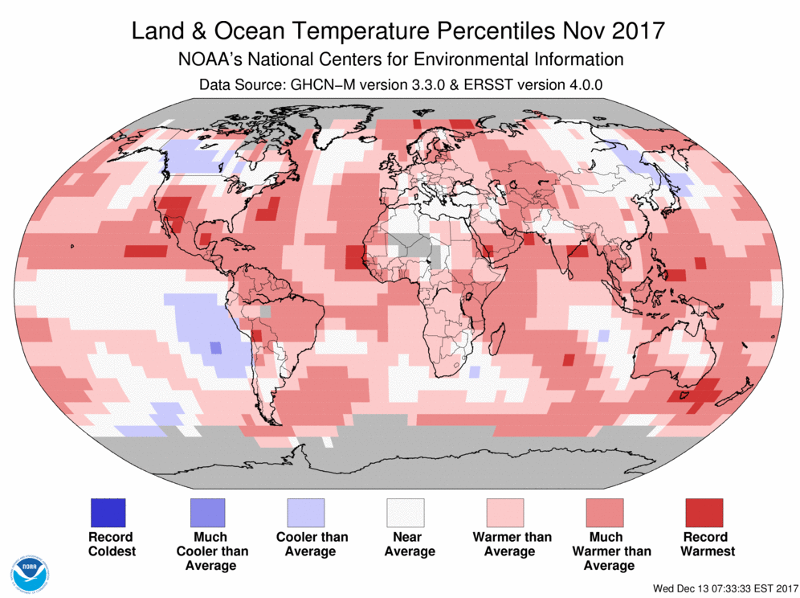 Is climate migration really a distant threat or is it already taking place now? This year’s Human Rights and Migration Festival was a huge success. The Festival raised awareness for an array of human rights and asked the public to reflect deeply on what human rights really are, especially for vulnerable groups such as migrants and people with disabilities. Stay tuned to IOM—Micronesia’s Facebook and YouTube pages where the winning 16 Days of Activism Youth Video Contest videos will be displayed. And remember, activism for human rights doesn’t end now that the 2017 16 Days are complete. Continue to build peace through activism in your own community! Pohnpei—Ambassador of Japan to the FSM Ryoichi Horie hosted a dinner reception at his home to celebrate Japan’s upcoming national day in celebration of the 84th birthday of the Emperor of Japan. Vice President Yosiwo George and Acting Secretary for Foreign Affairs Samson Pretrick were in attendance among other dignitaries from Pohnpei as well as members of the diplomatic corps. Pretrick gave a speech on behalf of the FSM extolling the virtues of nearly 30 years of diplomatic relations between Japan and the FSM. “Good evening. Thank you very much for your coming to our national day reception tonight to celebrate the Emperor’s birthday. His Majesty, the Emperor of Japan will become 84 years old on 23rd, December this year. “The Federated States of Micronesia and Japan have been enjoying long and close friendship for many decades and next year will mark the 30th anniversary of our bilateral diplomatic relations. For last three decades, lots of political leaders, tourists, businessmen and students have visited each other’s countries. Manila, Philippines--As FFA’s Deputy Director General Wez Norris prepares to wrap up his final Tuna Commission meeting with the Forum Fisheries Agency tomorrow (December 7), the announcement of his successor has been made. Hooper, who spent part of his childhood in Tokelau, and began his career in New Zealand fisheries in 1996, has been serving with the NZ Ministry of Foreign Affairs and Trade as the Counsellor (Primary Industries) and Deputy Permanent Representative to the UN Food and Agriculture Organization (FAO), based at the New Zealand Embassy in Rome. In making the announcement from Manila, where the FFA delegation is supporting Pacific nations to the annual Pacific Tuna Commission (WCPFC) meetings, DG Movick says the incoming deputy brings significant experience in Pacific tuna fisheries, including the WCPFC, to the role. He says the selection committee was impressed by Hooper’s experience in leading inter-agency and multi-disciplinary teams in both national and international negotiations and advocacy at bilateral, regional and multilateral levels, and, like his predecessor, an open and collaborative relationship management style suited to FFA’s multi-cultural setting. The Director General, who will complete his own six year term at the helm of the agency later next year, paid tribute to the quality and standard of service to Pacific fisheries led by his Deputy. “The contribution and impact made by Deputy Director-General Norris during his time with the agency has been lasting and impressive, and the extraordinary level of service from Wez to the organization, and our members, is well-recognized,” says DG Movick. WASHINGTON (December 5, 2017) – Interior Assistant Secretary for Insular Areas Doug Domenech has announced that Guam’s 2018 share of Compact Impact funding, $14.9 million, is being provided to the Government of Guam for costs associated with providing education, public health, and public safety-related services for the residents of the territory. Guam Governor Eddie Calvo has requested the use of $6.7 million towards school building lease payments and $8.2 million towards offsetting government operational costs. • $6,661,550 for the Guam Department of Education School Leaseback Program. Started in fiscal year 2007, the program was to finance, design, build, maintain, and leaseback four public school facilities: Liguan Elementary School; Adacao Elementary School; Astumbo Middle School; and Okkodo High School. Completed in 2008 and 2009, the schools have been occupied since. Leaseback payments will be completed in 2023. • $8,245,121 will be available to the Government of Guam as a general operations offset to reimburse costs associated with providing education, public health, and public safety-related services. 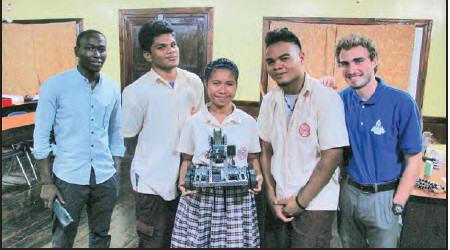 Colonia, Yap- Island students have been receiving high tech training in the design and construction of robots as the five high schools of the Yap Robo League work towards their goal of a statewide robotics competition next spring. Habele’s Director of STEM Programs, Amelia Weiss, first met with participating school leaders on Yap in early December. A series of workshops, site visits, and peer-to-peer trainings followed. Administrators, teachers, and select students from Yap High School, Outer Islands High School, Yap Catholic High School, Yap SDA School, and Faith Christian Academy participated throughout. Stateside, students and teachers at South River High School in Edgewater, Maryland learned about their peers on Yap. The Power Hawks Robotics Club hosted Habele’s President, Scott Leis, who spoke to the team about the Federated States of Micronesia (FSM), Yap State, Micronesian culture and the Compacts of Free Association (COFA), which formally link the Freely Associated States (FAS) to the US. Leis also answered questions from students about how they could support the students at their partner school – Yap Public High School. “The students at South River High School were eager to learn all about the Western Pacific,” explained Leis. “Few realized the geographical realities of life on a remote archipelago or that there is a long-standing, formal relationship between the FSM and US”. On the US West Coast, students of the Eagle Engineering Robotics Club at Chaminade College Preparatory High School packed a dozen boxes of donated robotics parts. These will be sent to Yap Catholic High School, which will distribute the equipment to the five participating schools across Yap State. This donation compliments scores of supplies that Habele has already sent this year, thanks to a Technical Assistance Program grant from the United States Department of the Interior’s Office of Insular Affairs (OIA). FSM—While it is true that the Harbin Y-12 has arrived in the FSM, there has not yet been a country to country presentation of the Chinese donated plane and has not yet been put into service in the FSM. When it is, it is likely to be based in Yap for a variety of reasons. 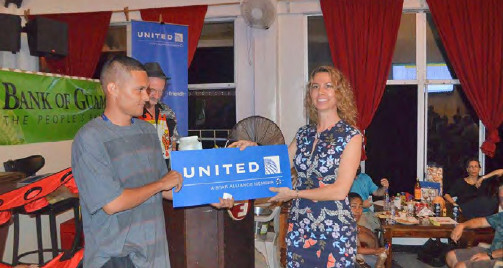 Not the least of those reasons is United’s announced complete abandonment of the Yap to Palau direct flight due to a lack of demand for the flight. The only remaining route to Yap after January 7 will be through Guam’s airport where travelers must have at least a US transit visa. United’s announcement has already affected Yap’s economy. According to an article in the Pacific Island Times by Joyce McClure, the Manta Ray Resort, the largest hotel on Yap’s main island has already had booking cancellations for their dive and hotel packages worth $65,000. They expect that amount to at least double as customers learn that their easy flight through Palau will, as of January 7, be much more complicated. According to McClure’s article, Manta Ray Resort often sends customers to other Yap Hotels when they are full. Those hotels and other small businesses will be hurt as well, as the number of tourists dwindles. Additionally, United’s announcement means that foreign contract workers in Yap who do not have US transit visas will be left with no travel options. Pohnpei—“The Best Christmas Pageant Ever” was not some boastful, self-assigned description of a play put on by a group of people with huge egos. It was merely the title of a play written by playwright Barbara Robinson and performed by Pohnpei Players Community Theatre. The title of the play was not intended to be prideful, the plot of the story revealed, but the people who participated in it have absolutely every right to take some pride in a marvelously done and fun performance. My wife and I attended the first performance when we left the gymnasium of Our Lady of Mercy Catholic High School we both felt lighter than when we arrived, not only because of the uplifting nature of the story that made this old romantic cry on several occasions but because the cast and crew worked so well together. I immediately went back to the office and posted a Facebook message encouraging anyone who was on the fence about whether or not they would attend any of the two remaining shows to get off the fence and g o forthwith. Pohnpei—Pohnpei has filed a third set of criminal charges against former Pohnpei Chief Justice Benjamin Rodriguez accusing him of six counts of Misconduct in Office. The fives counts all relate to a checking account at the Bank of Guam Pohnpei branch maintained since 2009 outside of the reach or control of the Department of Treasury and Administration in the name of the Pohnpei State Supreme Court, allegedly under Rodriguez’ direction and control. The first count of Misconduct in Public Office has to do with the very existence of the account which prosecutors allege violated the Financial Management Act of Pohnpei. On June 10, 2014 the Pohnpei State Auditor issued a Management Advisory to the Pohnpei Supreme Court saying that the account was in violation of the act and should be immediately closed and all proceeds from the account forwarded to the Pohnpei Treasury. The Court did not close down the account. Count two says that between 2009 and the time that he resigned at the Chief Justice of the Supreme Court he failed to report either any of the activities of the account at the Bank of Guam to the Pohnpei Legislature. The count alleges that he continued to fail to report the activities of the account even after he was advised in 2014 by the State Auditor that the account was in violation of the law. 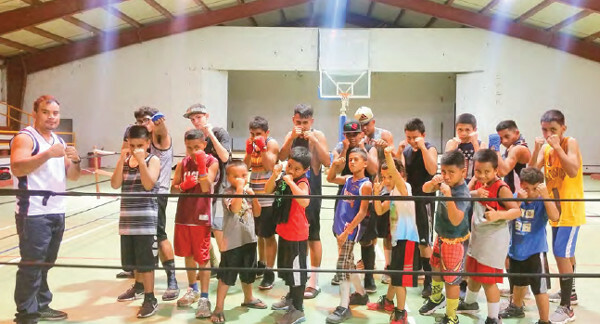 Tofol, Kosrae—The fledgling Kosrae Boxing Club held its first boxing exhibition at the Kosrae Tofol Gym after just one year in existence. Founder and President, Greg Ribauw said that the President of the Pohnpei Boxing Club, Mr. Erick Divinigracia helped the club in preparing its bylaws and other details. The club now has 23 members and seven directors on the Board of Directors. It has been operating since December of last year. 13 year old Murson Ribauw, one of the clubs athletes will be leaving Kosrae to return home to Nauru so club members decided to hold the exhibition both as a way of saying goodbye but also as a way of showcasing all of the athletes’ capabilities and as a means of raising funds for the club. They are hoping for bigger and better things and have taken to seeking donations from local businesses, the Kosrae Congress, recently have used Fundrazr.com as a medium for accepting donations worldwide. They hope to one day have new equipment, their own training venue and a real boxing ring. During the exhibition match, the club raised $150 which is a start. One of the spectators also donated two brand new 16 ounce boxing gloves and two mouth guards after the exhibition. Ribauw says that his son in law, DJ Maaki of Nauru is the coach and trainer for the club. Maaki is a former boxer with a great deal of experience in the sport throughout the world. In 2010, he won a silver medal at the Oceania Championship in Canberra. That same year he also won a silver medal at the World Youth Olympics in Singapore in the flyweight division. The club was able to send one of its athletes, Dalton Kihleng to Pohnpei for the Liberation games in September to participate in the local boxing tournament there. Funding for the travel and accommodation for both the coach and the athlete was made possible by Bruce Kihleng and the Kosrae State Congress. Kihleng lost by decision but Ribauw says it was a great first time experience for Kihleng and for the club. Ribauw says that the club currently doesn’t have a permanent venue for training. The club uses property outside of Ribauw’s house in Malem for their daily practice sessions. When it is raining they use the track and the Kosrae gym for practices. He says the club started with used equipment such as gloves, skip ropes, mouth guards and boxing pads. Ribauw says that the club urgently needs donations to help their athletes along their path of success. On Facebook, lookup Kosrae Boxing Club to contact them. 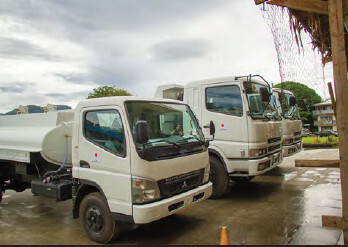 Pohnpei—During a ceremony on the front port of the Pohnpei Administration building at 3:00 on December 4, Ambassador Ryoichi Horie turned over a substantial donation of heavy machinery to the Pohnpei Transportation Authority (PTA). The donation, worth approximately 52 million yen ($460,000) not only included two large dump trucks, a fuel truck and a large truck with a “lowboy” trailer but also included substantial training on the equipment. 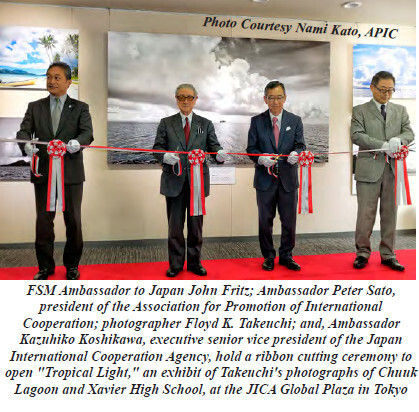 Ambassador Horie said that he had learned that though PTA has large equipment, some of it previously donated by Japan, the Authority didn’t have anything that could transport it to a work site. PTA had previously been hiring a local company to move equipment for them when they needed on the site. The truck with the lowboy trailer resolves that problem for the future. The keys were presented to Acting Governor Reed Oliver who turned them over to the Director of PTA for immediate use. That island nations are at the forefront of impacts of climate change and therefore are the proverbial “canary in the coalmine” was the message of the Government of the Federated States of Micronesia (FSM) at the negotiations in the Global Conference on Climate Change (COP23), held in Bonn from November 6-17, 2017. As islands are already facing devastating impacts and continually seeking ways to adapt to climate change, leaders like the FSM Vice President, the Honorable Yosiwo P. George, continue to call on leaders of the developed countries to take responsibility and leadership in their own countries to curb their destructive emissions of carbon and other greenhouse gases. 1. 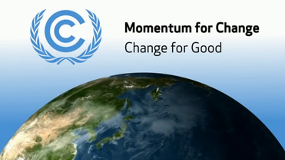 Strengthen your resolve to keep global temperature rise to below 1.5 degrees Celsius. 6. Support the Loss and Damage to become a permanent agenda of the subsidiary bodies. “There is some progress at the global level to gain commitment from developed countries to curb emissions and the FSM assists to take lead in negotiating some of these arrangements like the Kigali amendment which will lead to a reduction of 0.5 degree in global temperature by the end of the century” said the Honorable Vice President George. The FSM Government remains diligent in its efforts to push for island issues with Fiji as the COP President, along with other island nations within their island nation coalition called the Alliance of Small Island States (AOSIS). 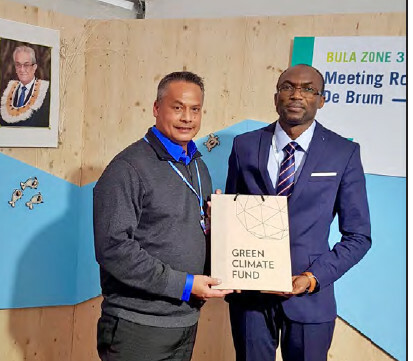 As the talks wrapped up at COP23, the FSM President, His Excellency Peter M. Christian, took forward the global efforts on the Kigali Amendment within the global framework under the talks on Ozone Depleting Substances, held in Montreal Canada the week after. 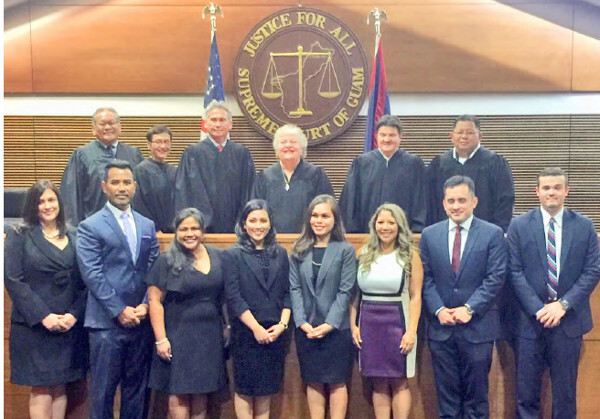 Guam—Two FSM citizens originally from Chuuk have recently earned the right to practice law in Guam after they passed the exam that allowed them to be admitted to the bar in that jurisdiction. Debrah Ann Mori Retuyan earned a Bachelor of Science in Criminal Justice with a Minor in Public Administration at the University of Guam. She later attended Thomas M. Cooley in Ann Arbor, Michigan where she earned a Juris Doctor. Retuyan interned at the Embassy of the FSM in Washington D.C. after which she returned to Guam where she currently works in the Prosecution Division of the Office of the Attorney General of Guam. Maximo Mida spent his early years on Wonei and Udot before he moved to Pohnpei where he attended first through sixth grades at Kolonia Elementary. His family moved to Hawaii in 1986. He graduated from Mililani High School there. He enlisted in the US Coast Guard after High School where he became one of the services elite helicopter rescue swimmers. At the school he “learned that nothing is impossible to achieve if you put your mind to it,” he said. While in the Coast Guard, he earned a Bachelor of Arts degree in History and Political Science from Chaminade University in 2008. Retiring honorably from the Coast Guard after 20 years he then graduated in 2017 with a Juris Doctor from Thomas Jefferson School of Law in San Diego. He has passed both the FSM and Guam bar exams and currently works at the Law Firm of Ramp and Mida. He says that he has two beautiful children, four year old boy named Makai and a four month old baby girl named Meraki. He is currently engaged to be married to Agnes Billimon. FSM— FSM Social Security Administration hereby reminds the general public that per Public Law No. 16-10, the taxable wage base is scheduled to increase from $7,000 to $8,000 on January 1, 2018. The purpose of the social security law is to effect economy and efficiency in the fields of government and business by providing a means whereby employees may be ensured a measure of security in their old age and given an opportunity for leisure without hardship and complete loss of income. Further, to provide survivors’ insurance for wage earners and their dependents. The increase is part of several amendments that were enacted to improve the short term as well as long term viability of the program. For several days before the 14th Annual Budweiser Tournament, the weather had been threatening to be too dangerous to have a fishing tournament. But at the dawn of November 18, the sun rose bright and clear. The 16 boats that registered were rewarded by fair weather and a fair number of good sized fish. Each boat that registered and that came to the weigh in received a case of Budweiser and free t-shirts for the crew. Thanks Budweiser and Ambros, Inc. The format was a Catch-5 where the boats competed against each other to land at least one of each of the following species, Billfish, Mahi Mahi, Wahoo, Skip Jack Tuna and Yellow Fin or other tuna. Only one boat managed to catch all five. The same boat caught the only qualifying billfish of the day, a 70.5 pound sailfish. Congratulations to Happier Hookers captained by Kumer Panuelo. With a total of 139.6 pounds of fish and five species caught, “Happier Hookers” grabbed the first prize worth $400. 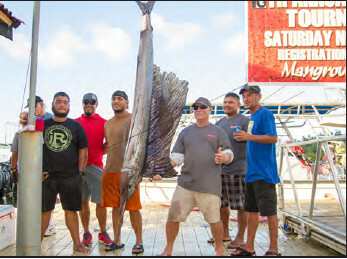 “Pohnpei Surf Club” pulled in three species for a total weight of 82.2 pounds of fish and the $300 second prize. “Happy Tuna” also landed three species for a total of 53.1 pounds for the third prize of $150. There were also prizes for the biggest fish of each species. Each of those anglers won a $100 prize for their catches. Allois Malfitani landed the largest Yellow Fin Tuna at 57.3 pounds. Kumer Panuelo’s 14.6 pound Mahi Mahi scored him a prize. Thomas Beckman got a Skip Jack that was also 14.6 pounds for a win in that species category. Kumer Panuelo also scored a prize for his 70.5 pound sailfish. Dane Nighswander continued his series of wins with a 27.1 pound Wahoo. Congratulations to all of the winners. Many thanks to Mangrove Bay for hosting the weigh in, and to all of the people that helped: Bill Pendergraft, Francisco, Tina Arnold, Uta Krause, Jim Tobin, and all of Kumer’s guys. We couldn’t do it without you. The library raised over $900.00 this year from hot dog and sausage sales at the weigh in. Some of the books bought for the library were on display. Pohnpei Fishing Club is a proud sponsor of the library. Many thanks to our sponsors Budweiser and Ambros/Shimbros. I am sure we will be seeing a lot of people proudly wearing the shirts around town. This is our last tournament of the year. Happy holidays to all fishermen and women. The Annual General Meeting will be set some time in January, and we have a full lineup of tournaments scheduled for next year. FSM—Japan’s Ambassador to the FSM, Ryoichi Horie hosted a reception at his home as a “celebration party” for a commendation that he awarded to the JICA Alumni Association (JAA) during their annual meeting in Chuuk on November 8. The commendation was presented to Mr. Simpson Abraham and other board members of JAA-FSM in Chuuk and again at his residence in Pohnpei on November 17. FSM’s Acting Secretary for Foreign Affairs, Samson Pretrick, Ambassador Horie, and Simpson Abraham gave speeches during the evening. The Ambassador’s commendation is awarded to individuals or group of outstanding achievements in international fields to acknowledge their contribution to the promotion of friendly relations between Japan and other countries. The Commendation also aims to promote the understanding and support of the Japanese Public for their activities. 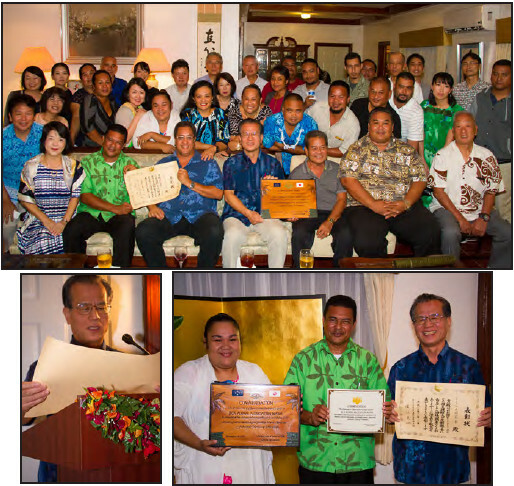 This time, the Commendation was awarded to JICA-Alumni Association in the Federated States of Micronesia. JAA in FSM is playing a very active role within their respective communities. 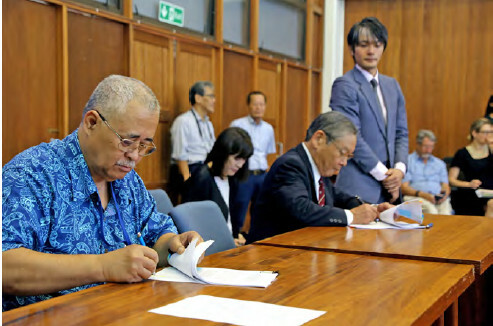 There are over 593 FSM citizens who have attended JICA trainings overseas and are recognized as members of the JAA in FSM and 129 active members as of today. Ambassador Horie recognized the importance of the association and the role it plays in the FSM not only for promoting the social welfare of the local communities’ people, but also the mutual understanding and friendship between Japan and FSM. The JICA Alumni Association of the FSM or JAA-FSM was chartered and established on November 3, 2006 as a non-profit corporation with the purpose of gathering and creating friendship among JICA alumni and volunteers within and outside of the FSM; developing relationships between JICA and alumni with the frames of the Official Development Assistance Program of Japan; and, supporting economic, cultural, scientific and technical cooperation between the FSM and Japan. Since its inception in 2006, former JAA-FSM President Moses Pretrick established a chapter in each respective States as one of their activities for FY2013. The Kosrae Chapter was established on November 23, 2013, followed by the Chuuk Chapter on January 25, 2014, followed by the Yap Chapter on March 16, 2014. In Pohnpei, a Waste Survey Activity was conducted at Nett Point on November 11, 2016. 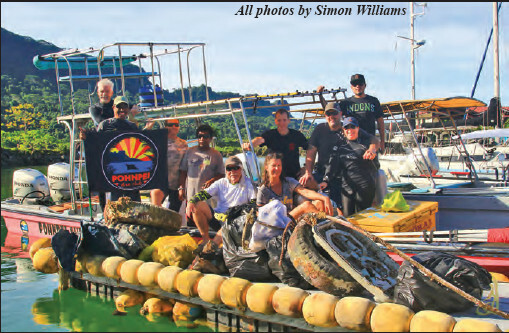 In collaboration with JAA-Pohnpei, JICA-Volunteers, Micro-Japan Club of COM, Environmental Protection Agency in Pohnpei , and Nett District Government, a total of 100 trash bags were collected. In collaboration with JICA, OEEM and EPA, the later placed signs imploring visitors to not litter on each side of the beach. In response to the Kosrae Governments declaration of State of Emergency for the outbreak of the ZIKA Virus and Dengue Fever on November 1, 2016, JAA-Kosrae collaborated with the public health to clean up the community to help to eliminate the breeding of mosquitoes there. In Yap, a Community Clean-up at Okeefe was organized by JAA-Yap in collaboration with EPA-Yap, COM-Yap, and the community to clean up the most popular, yet most polluted tourist attraction in Colonia. JAA supported those activities by directly participating or co-sponsoring them. 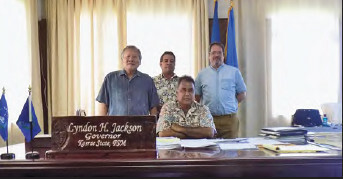 A new project entitled “Improvement of Solid Waste Management in Pacific Island Countries-The Cooperative 2R Promotion Project in the State of Chuuk, FSM” (hereinafter referred to as “the Project”) under JICA Partnership Program (JPP) in Collaboration with Hachioji City Government has launched this November. The duration of this project will be from November 2017 to February 2020. The main objectives of the project are conservation of clean environment through ongoing 2R activities and establish waste collection routines. Chuuk State Environmental Protection Agency will be the counterpart organization to promote the concept of the 2R (reduce and reuse) principle as well as consolidating the waste collection system and install organic waste disposal units with cooperation of local communities. The Team met with two other relevant agencies contributing efforts to this project and they are the Chuuk Public Works & Transportation and Chuuk Women Council (CWC). In collaboration with Chuuk EPA, the Chuuk Public Works & Transportation operates and maintains the waste collection system. The members of Chuuk Women Council are practicing the principle of the 2R (Reduce and Reuse) by forming a sewing group who can fashion reusable shopping bags out of used clothes. This group of women also holds a market day on the last Fridays of every month to sell used items as well. These activities help prevent used clothes and other items as well as plastic bags from going to the landfill and will eventually contribute to future legislations on the ban of plastic bags. Pohnpei—Dana Smith, Pohnpei’s Attorney General says that on Monday he will officially start the White Collar Crime Investigation Unit. He said that the unit will consist of one prosecutor, one investigator, and researcher. The duties will be added to the duties of current staff members at the AG’s office. Tracy Ardos, who is studying to take the Certified Fraud Examiner test soon, will be the head of the unit. He said the purpose of the unit will be to seek compliance. Ardos will report directly to the Attorney General. He said that the AG’s office will be present when containers destined for local merchants are opened in order to compare the contents with the cargo manifest and bill of lading. The unit will seek enforcement of tax law and will investigate labor law violations. The unit will have no overlap with the duties of the Public Auditor or the Department of Public Safety. Pohnpei—The Pohnpei Rotary Club’s Annual Quiz Night was held on November 11, 2017 at Cupid’s Restaurant. It was a rousing success. 21 tables of six players each competed for cash and prizes. Contestants at the tables try to answer basically irrelevant trivia questions. There is a lot of yelling and joking, and then things usually get out of control. If it weren’t for the efforts of the brave and selfless moderator, the night would descend into total anarchy. The top prize was $100.00 per person for the winning table. This year the winners were Nathan Bonnice, Mellyann Mallarme, McClaine Gilmete, Lara Studzinski, Aaron Nighswander and Rob Boylan. Congratulations to these trivia buffs. The competition was hard fought and there was even a playoff round for second place. In addition to the trivia competition, there were raffles including a 50/50 raffle and a raffle for lots of goodies donated by our sponsors. There were also a few auction items that could be bid on and won. Pohnpei—The prosecution has presented its opening statement in the first set of criminal charges filed against former Chief Justice Benjamin Rodriguez. The government alleges and intends to try to prove that Rodriguez illegally used government money to pay for travel for a personal medical referral to the Philippines, used government money to pay a personal medical bill, and collected payment from the government for trainings, seminars, and conferences that were fully funded by non-government entities. “Your Honor, this case is about public corruption, involving a breach of public trust and/or abuse of position by government official,” Pohnpei’s prosecutor said in his opening statement. The defense presented no opening statement at all. Justice Anson is presiding over the hearings. So far the prosecution has presented two witnesses. The hearing has been continued until December 18 at which time the prosecution will present further witnesses. When the prosecution’s witnesses have all been heard, the defense will have opportunity to present its witnesses. An initial hearing on a second set of criminal charges against Rodriguez regarding alleged theft of bail money, covering up bail money, and obstruction is also set for December. Rodriguez is innocent of all charges unless proven otherwise in court. Pohnpei—Several hundred people showed up at Mangrove Bay Bar to participate in the “White Ribbon Walkabout”, a “fun run” through the streets of Kolonia to raise awareness about the Sixteen Days of Activism Against Gender Violence. The theme for this year’s walkabout was “Youth Building Peace: Activism for Human Rights”. Indeed, many children participated in this year’s walkabout, many of whom walked long distances to join in the walk. As in years past, the walk route was grueling, starting with the big hill that heads up to the circumferential road from Mangrove Bay Bar, then through Kolonia to the Spanish Wall and back again. Charges de’Affaires, Eliza Woolcock of the Australian Embassy said that while the fun run is exactly that—fun, the more important thing was that while the runners participated in the event with their T-shirts on, onlookers would be reminded of the importance of eliminating domestic violence. She told the crowd of supporters that this year’s walkabout was especially important in light of the recent passage of the “Domestic Violence” Act. Susanna Sohs also addressed the crowd in Pohnpeian. It was clear that she was happy about the passage of the domestic violence act. Guest Perspective: Is China a Threat in the FSM? 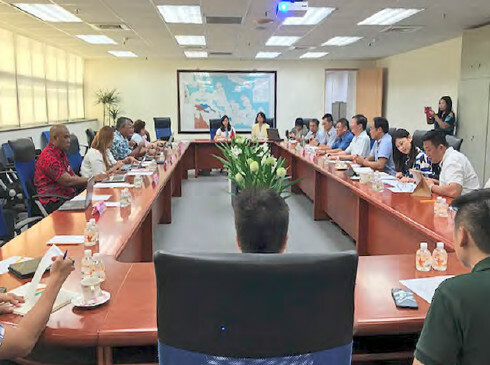 Strategically located in the northwest Pacific, the Federated States of Micronesia, (FSM) has been in diplomatic relations with China for more than twenty-five years. However, this relationship has been a subject of political debate between the pro and anti-Chinese forces in the FSM. Critics of China claim that China is using the FSM as part of its moving frontier in the Pacific. This has been refuted by the pro-Chinese observers declaring that the FSM is acting within its own constitutional means which defines FSM’s foreign policy; China is part of such a policy. Moreover, China has brought many benefits to the FSM, and so this relationship remains firm particularly in view of the scaling down of the USA's financial assistance under the Compact. The FSM’s desire is to lessen its dependency on Compact funds; it is actively exploring different avenues to satisfy its economic objectives internationally. Perhaps, the USA is suspicious of China's motive as it perceives China as a growing threat to its security interest in the northwest Pacific. A unilateral decision by the USA to undermine or dislodge China may violate the FSM’s Constitution and relevant international laws. For the purpose of promoting discussion, I am raising the following questions: firstly, is China a threat in the FSM, and if so, a threat to whose interests? Secondly, how has this perceived threat emerged and does it constitute a real threat? Finally, if China is positioning itself to unleash its influence in the FSM, how is it doing this? These fundamental questions are conceptually related to the old issue of super power rivalry in the FSM since the dawn of colonization. It further raises the question of whether or not Micronesians are passive bystanders or active participants in the decision making process that affect their own interests in this political equation. Many argue that the FSM considers China not as a threat, but an opportunity to expand the scope of its own international interests. They perceive the threat by China as foreign induced, one which does not sincerely take into account Micronesian perspective. Others perceive China’s growing presence as positive especially in light of its economic assistance to the FSM coupled with its policy of non-interference in FSM’s domestic and international affairs. China's presence, however, has been under intense scrutiny by critics querying the reason for China’s sudden increased interest in the region. They have speculated that China is positioning itself to confront the US in its own so called territorial domain. China’s intention, according to the critics, is to create a climate of mistrust which is likely to evolve into a new cold war front in the Pacific. This China phobia may be a new phase in FSM politics, but it is reminiscent of the legacy of the cold war period. Not surprisingly the critics continue to claim that China, like its former predecessor, the USSR, is working on completing the global socialist revolution to replace the USA to usher in a new world power. This underlying fear of China is foreign induced. Outside powers have not sought to consider islanders’ perspectives of their relationship with China. Many Micronesians perceive this antagonism towards China as part of the concerted efforts by the traditional powers to serve their own interests by constantly feeding islanders’ propaganda reinforced by an entrenched system of indoctrination in an attempt to shelter them from engaging in an alternative form of economic system which they claim is not conducive to islanders’ ways of life. In my interview with an official from China, he claimed that China is moving toward a market economy and the growing middle class has evolved albeit via a different route from the US. As China’s Ambassador to the FSM articulated, “China understands that the FSM has a deep relationship with the US, and does not intend to work against that relationship. China has a policy to assist the developing countries in the world and the FSM is one of such countries”. “We extend to all nations what we seek from each: peace, friendship, cooperation, and love in our common humanity”. With the introduction of the Vessel Day Scheme and the annual increases in fishing access fees, fishing companies accessing FSM’s Exclusive Economic Zone (EEZ) have expressed greater interest in establishing tuna processing plants in the FSM in order to qualify for special considerations on access fees and reduce operational costs. The NORMA Board met with several companies with proposals to establish cold storage facilities in Kosrae as well as loin processing plants in both Kosrae and Pohnpei. It is anticipated that these projects would generate 150-800 employees. In all the presentations given, the common message from the fishing companieswas the critical need and urgency to have a Competent Authority for IUU and Health Safetyestablished in the FSM. Most of the distant water nation fleetsfishing in the region export their catch to the EU market, which is currently the most lucrative market for fish products. Companies who have voiced their interest in investing in the FSM are among those fleet. They all stressedduring the meeting that their investments would be contingent upon the establishment of the CA.The CA for IUU and Health and Food Safety are market access requirements set by the EU for Countries that wish to export fish into its market. The CA ensures that fish exported into the EU are sustainably caught and are safe for consumption. The only Countries in the Pacific region that have managed to establish a CA are PNG, Fiji, and recently, the small island nation of Kiribati. With the growing interest to invest in the fisheries sector in the FSM, it is imperative that a CA be established soon. NORMA, with support from World Bank under the PROP Project and assistancefrom New Zealand under a Technical Assistance Project, aims to achieve that within two years. Colonia, Yap - Students on Micronesia's famously traditional Island of Stone Money have begun to design and assemble hi-tech programmable robots. PALIKIR, POHNPEI – The recently adjourned session of the 20th Congress of the Federated States of Micronesia approved for the Nation a new Secretary for its recently created department of Environment, Climate Change and Emergency Management and approved for the Nation funding for a new consulate office, among other measures. As called by President Peter M. Christian, the 5-day Second Special Session of the 20th Body convened from October 30th thru November 3rd to address matters that were not attended to during the regular session in September and top among those matters were the establishment of a consulate office in the United States and additional funding towards the fiber-optic cable project. Congress passed Congressional Act (CA) 20-54 as a supplement to the 2018 national budget to appropriate $333,000 towards the set up and operation costs for an FSM Consulate Office in the state of Oregon on the US West Coast. 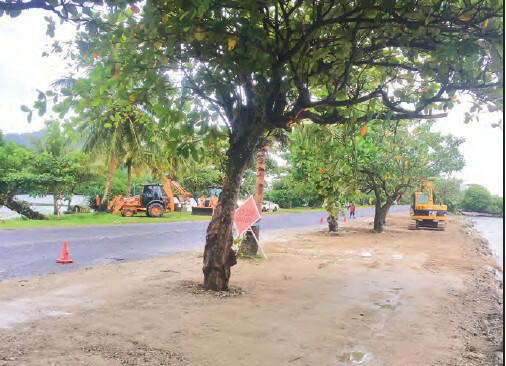 Included in the same Act is an appropriation towards the Yap- Chuuk Telecommunications Cable Project of an additional $4 million with $1 million specified for civil works. Rounding out the supplemental funding was an amount of $5 million appropriated towards the FSM Trust Fund. HARBIN, PRC — A Chinese-made Y-12E aircraft was delivered to the Federated States of Micronesia, an island nation on the Western Pacific, on Friday. "It will be used for cargo transport, rescue and medical services in Micronesia," said Liu Huinan, deputy chief engineer at the company. The short-haul Y-12 series aircraft are used mainly for passenger and cargo transport, geological exploration, ocean monitoring and agriculture. The aircraft has obtained certification in more than ten countries including Russia, the United States and France. Chuuk, FSM—The FSM Department of Justice filed charges against Isak Rawit for the crime of pointing a laser pointer at an aircraft operating within the FSM’s jurisdiction. The FSM is asking for the maximum penalty of five years in prison and $10,000 fine for each offense if he is convicted. This is the first prosecution for pointing a laser pointer at a plane since the FSM passed a law banning it. Four fishermen told National Police that they were fishing in those waters at those times and saw a green laser beam shooting from a boat near them but they couldn’t see who was on the boat due to the darkness and the distance. Through an investigation and questioning, National Police learned that Isak Rawit was fishing in those waters on that night and that he owns a laser pointer with red and green lights. The laser pointer is similar to military grade laser pointers used to aid in sighting targets. It is not the small type of laser pointer that can be bought at variety stores. The criminal information says that the pointer that was used is six inches long and in addition to the laser beams, also has a flashlight mode. It is not a crime to own that type of laser pointer, but it is a crime to point it at an aircraft. According to the criminal information from the investigating officer that was filed with the charges, Rawit was brought in for questioning. While there, Rawit signed a waiver form agreeing to answer the investigators’ questions. Police also interviewed the other men who were fishing with him. All said that they witnessed Rawit pointing the laser at the aircraft twice. Rawit voluntarily surrendered the laser pointer device. Charges were filed on November 6. He had his initial appearance before the court on that same day and the court released him on his own recognizance under a list of restrictions on movement and reporting requirements. Rawit is innocent unless proven otherwise in a court of law. Pohnpei—After careful scrutiny, the Pohnpei State Legislature’s Standing Committee on Judiciary and Governmental Operations recommended confirmation of the Nelson A. Joseph as the new Chief Justice of the Pohnpei Supreme Court. The Legislature agreed and confirmed the nomination. Governor Marcelo K. Peterson submitted his appointment of Joseph in an October 6 letter to Speaker Fernando Scaliem subject to Legislative consent by a majority. “His professional experiences and trainings can be put to good use at the service of the post of Chief Justice,” the Governor’s letter said. “…considering the recent calamity within the Pohnpei Supreme Court, your Committee diligently analyzed this particular assignment with utmost scrutiny,” the committee report said. As the most senior Associate Justice at the Pohnpei Supreme Court when former Chief Justice Benjamin Rodriguez submitted his resignation, Joseph became the Acting Chief Justice.